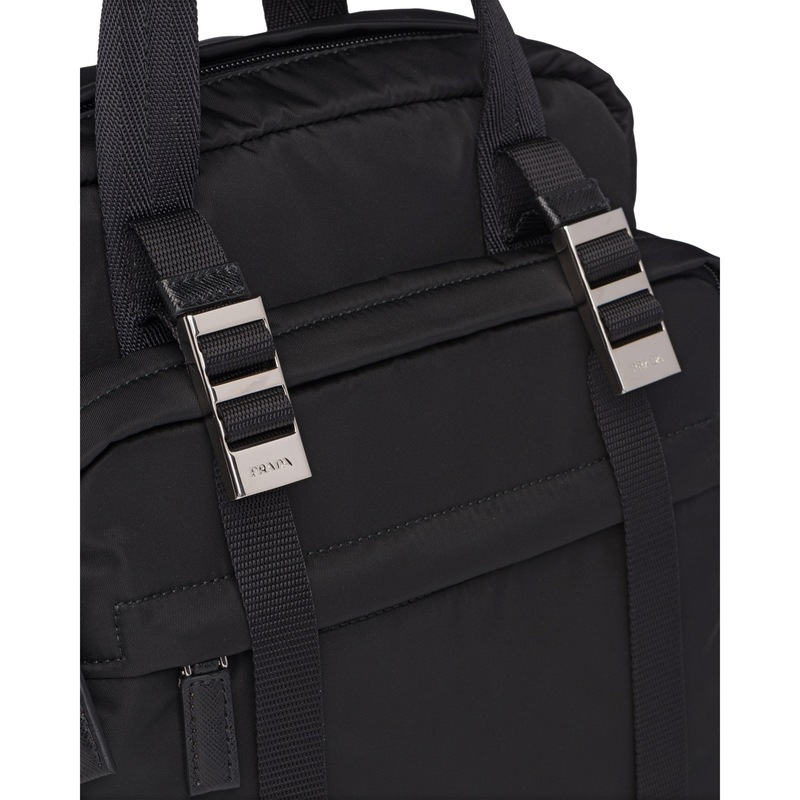 Two steel buckles engraved with Prada lettering are the centrepiece of this backpack. 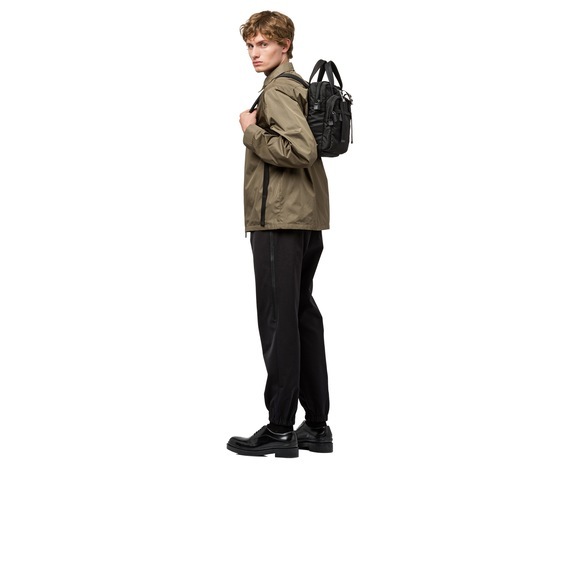 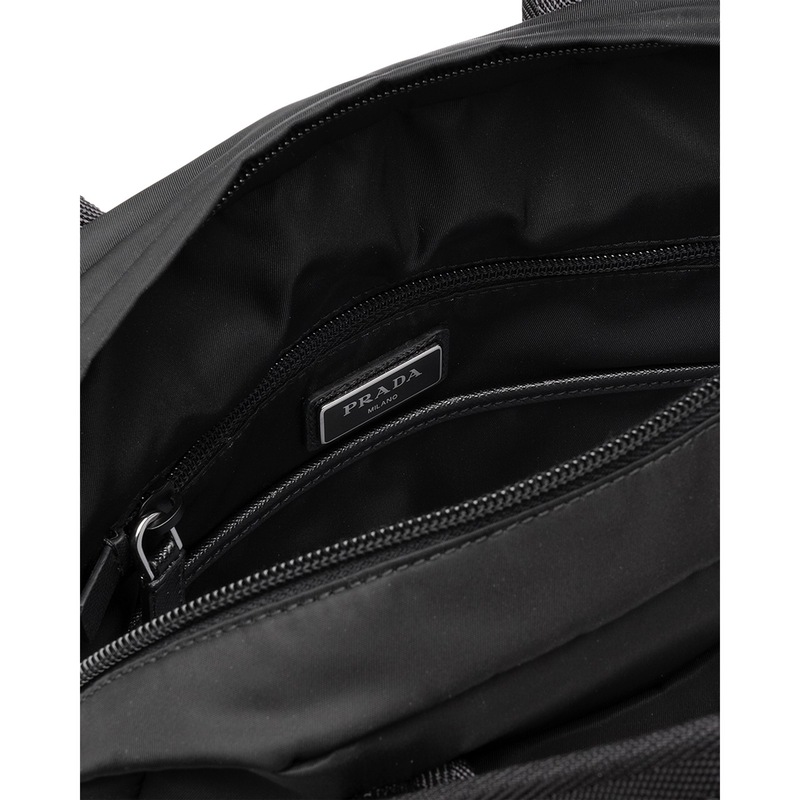 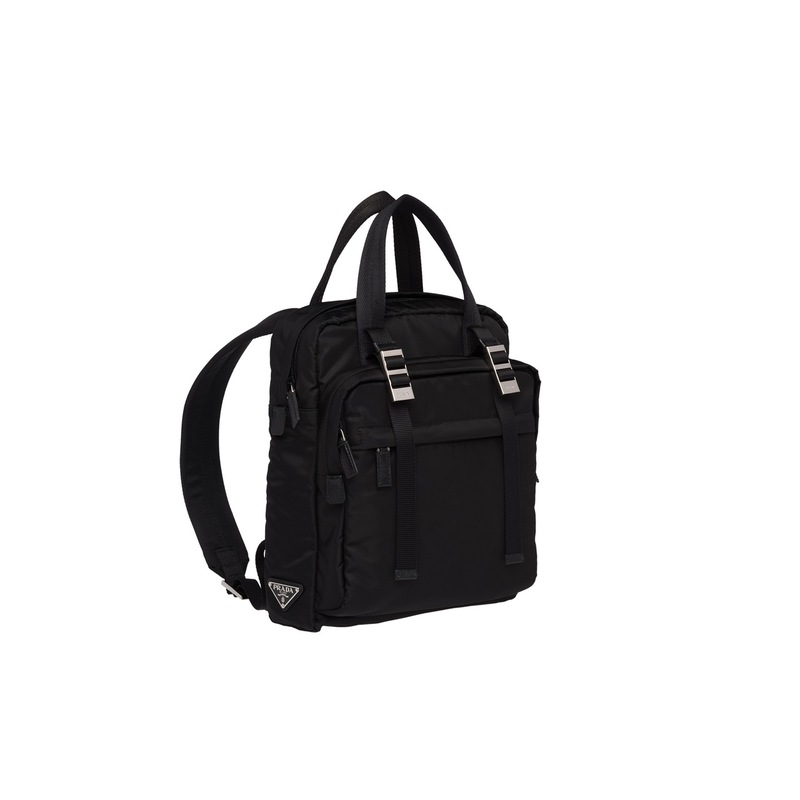 The practical features include technical fabric, padded back and pockets inside and out. 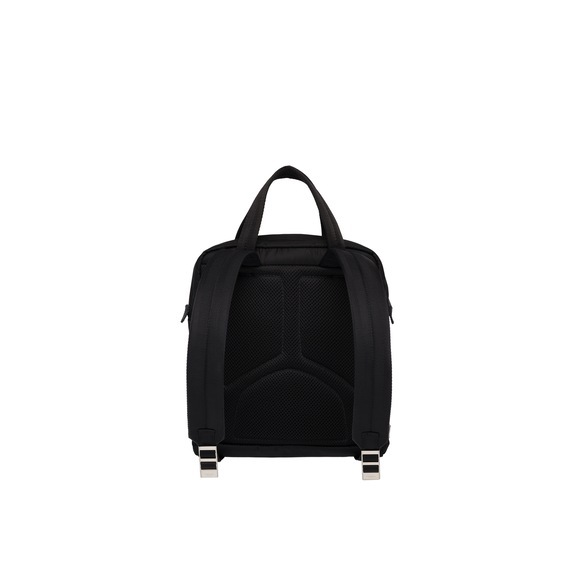 It is embellished with the logo on the side.